MONTGOMERY, Ala., June 20, 2018 – Montgomery offers a rich culinary scene that continues to grow in quality and variety. 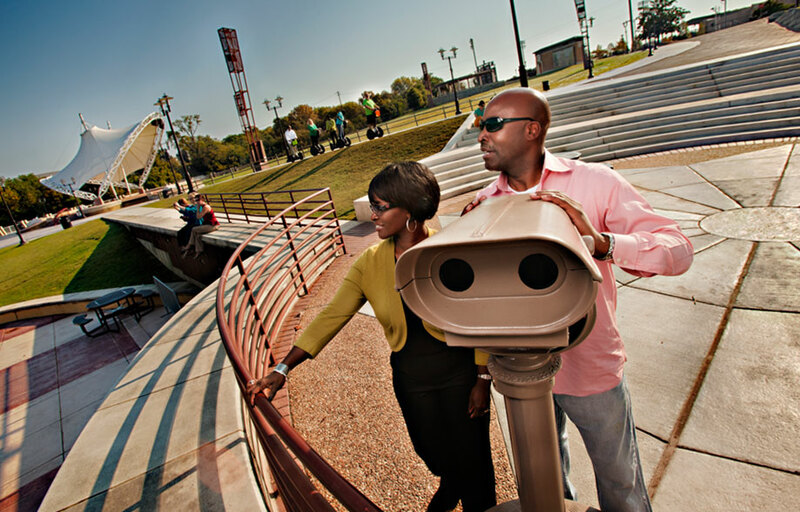 Known for its Southern hospitality and revitalized downtown, the riverfront capital city was the birthplace of the Civil Rights Movement and has established itself as a landmark Deep South destination with much to offer for diners in search of authentic cuisine. From fine dining at upscale eateries to award-winning coffee shops and craft breweries, Montgomery offers up food and drink experiences to please every palate. The fourth annual Montgomery Restaurant Week will take place this year from August 10 – 19 with restaurants participating throughout the city. Restaurant Week will feature great deals at participating eateries and dining meetups, along with chances to win prizes through social media contests. Vintage Year, located in the heart of the historic Old Cloverdale neighborhood, Vintage Year features steaks, seafood and an outstanding wine selection. With its informal but intimate dining room, Vintage Year is the perfect date night spot, but is also an inviting venue for the whole family. For more information, visit www.vymgm.com. Chris’ Hot Dogs, a 101-year-old Montgomery classic, Chris’ has served everybody from Martin Luther King Jr. to Hank Williams to Elvis Pressley from its location on Dexter Avenue, steps from the Alabama capitol. Featuring its famous hot dogs and chili sauce, Chris’ is a local favorite with a lot of history. For more information, visit www.chrishotdogs.com. Martha’s Place, with some of the best soul food around, including Martha’s famous fried chicken, Martha’s Place is the place to go for authentic Southern staples. Fresh baked cakes are also a big hit at this casual Southern eatery with an all-you-can-eat buffet. For more information, visit hwww.marthasplacebuffet.com. Derk’s Filet & Vine, one of the most popular lunch spots in town, Derk’s is a classic “Meat ‘n’ Three” restaurant. Located in the historic Old Cloverdale Neighborhood, this one-stop-shop also features a bottle shop and a deli. For more information, visit www.filetandvine.com. Capitol Oyster Bar, featuring some of the freshest seafood around and an incredible view, Capitol Oyster Bar overlooks the Alabama River and is a local favorite. Oysters are the star of the show, but the menu is packed with Gulf seafood specialties. Their porch offers live music every Sunday. For more information, visit www.capitoloysterbar.com. Cahawba House, with locally sourced Southern classics featuring a modern twist, Cahawba House is a casual lunch or breakfast spot in Montgomery’s downtown. Offering a popular Sunday brunch, the daily biscuit bar in the morning is always a hit. For more information, visit www.cahawbahouse.com. Vintage Cafe, occupying the old Regions Bank building in historic Old Cloverdale, Vintage Café is a newcomer to Montgomery’s dining scene. With a sleek modern design, Stumptown coffee, and a wide selection of salads, sandwiches and baked goods, Vintage Café has fast become a favorite breakfast or lunch spot. For more information, visit www.vintagecafemgm.com. Common Bond Brewing, opened in early 2018, Common Bond is Montgomery’s only craft brewery. Founded by brewer Andrew McNally, Common Bond features an open-air patio and weekly events and sells their beer to-go in growlers and crowlers. For more information, visit www.commonbondbrewers.com. The Tipping Point, this lively gathering spot in the Hampstead area of Montgomery is both kid and dog-friendly and features a huge selection of craft beers and cocktails. With an inventive food menu of bar favorites, The Tipping Point is a great place to catch the game with friends or get together after work. For more information, visit www.tippingpointhampstead.com. Goat Haus Biergarten, overlooking the Alabama River from the Cottage Hill neighborhood in a historic home, this spot features craft beer, wines and cider along and a small menu of bites for lunch and dinner. With great views of downtown, Goat Haus is a favorite spot for happy hour. For more information, visit www.goat-haus-biergarten.business.site. For more information on Montgomery, visit www.visitingmontgomery.com.